Trying to round up employees or team members for a meeting isn’t always easy, so the advent of online conferencing has made things a lot more convenient. 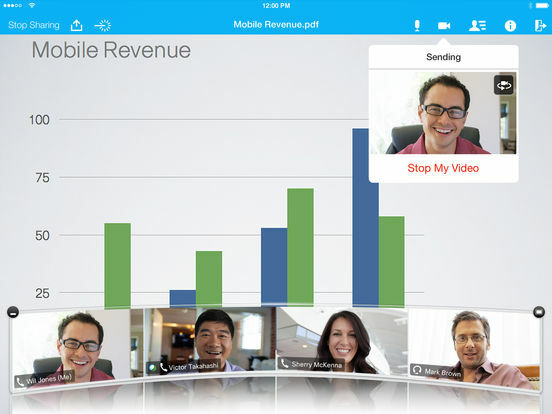 There are several different apps you can use to schedule and start phone or video conferences. 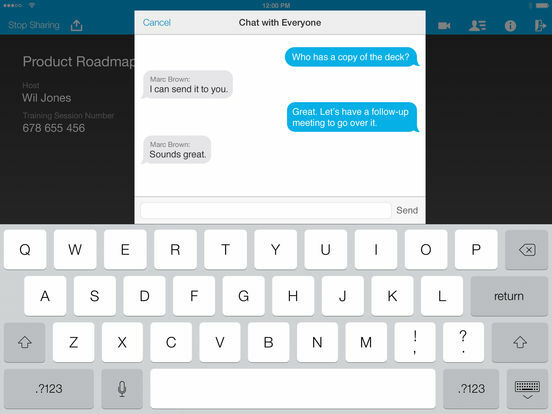 Some allow you to share files, chat, and even screen-share within the app. 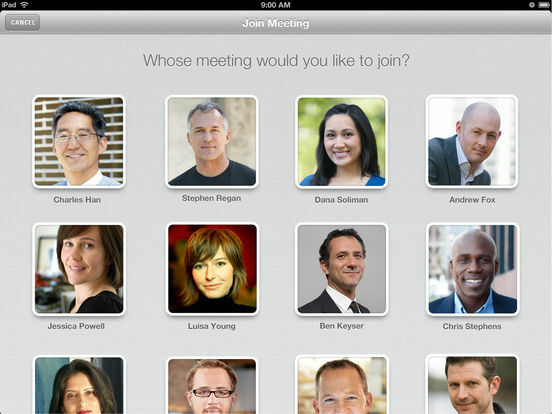 Check out our list of the best iPhone apps for call conferences and increase your productivity today. 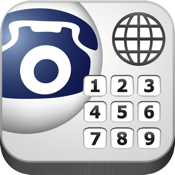 Free Conference Call International is another option that allows you to host or jump in on international conference calls. The best part is that you don’t have to remember account credentials because the app remembers all of your Dial-in Numbers and Access Codes. 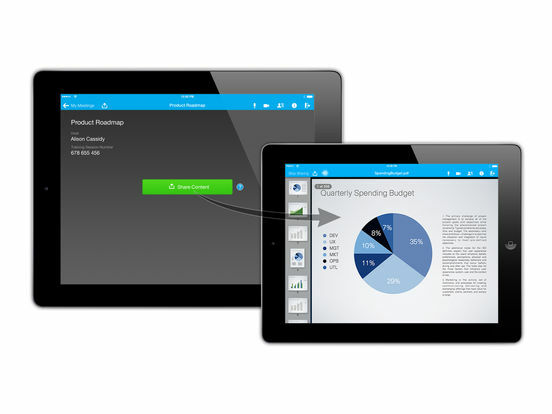 Features include one-touch conference commands, the option to dial in using VoIP or GSM, unlimited conferencing, meeting invitations to send via text or email, and HD calls with up to 1,000 participants. The app works in more than 55 countries. You can make or join in on a conference call 24 hours a day, seven days a week, without reservations. 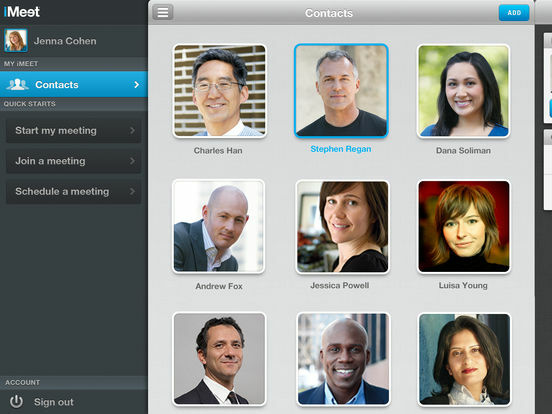 Join any conference call with just one touch and never have to remember pins or numbers again. That’s right, it’s just that simple with this app. 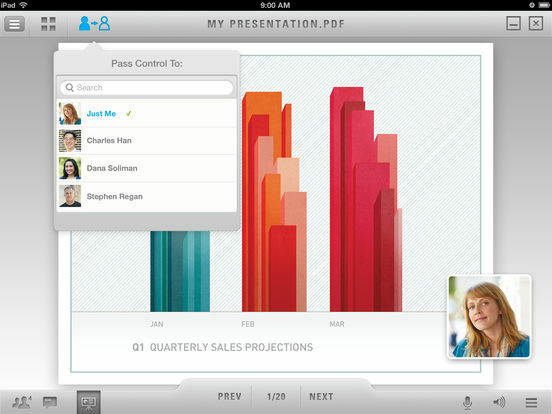 MeetingMogul makes conference calls a smooth process, doing away with archaic connection systems. 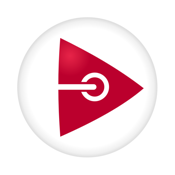 This app can coordinate conference calls and display them on an agenda, detects upcoming conference calls and sends advanced notifications, create an agenda and follow-ups for conference calls, notify others, CRM integration, note sharing and so much more. 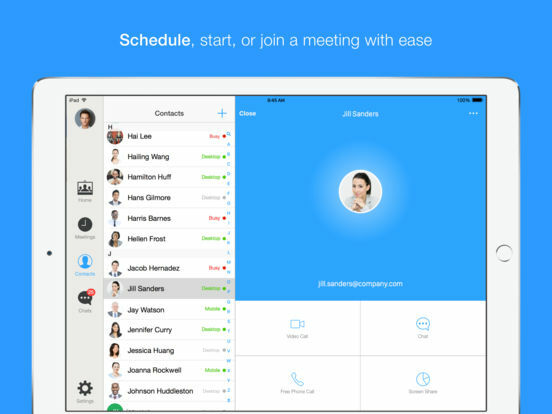 This app is definitely one you should consider if you or your company does a lot of conference calls. There are in-app purchases for the Pro Version of the app. 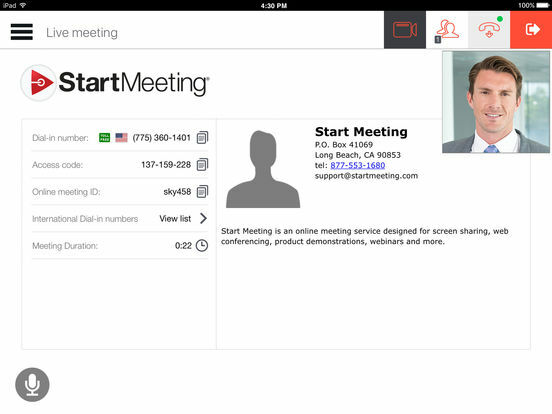 The StartMeeting® app is from the same people who gave us Free Conference Call International, but this one has a few different features. 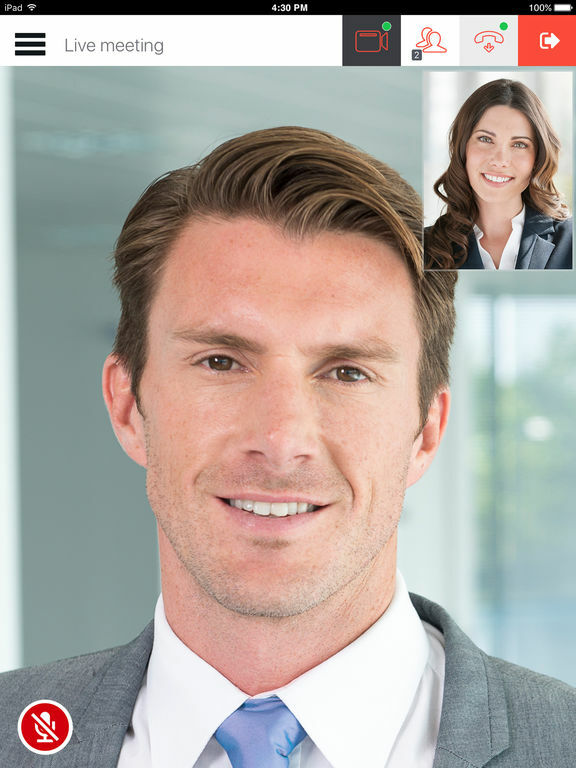 It, too, has Free HD audio conferencing for up to 1,000 participants, but this one also offers screen sharing and video conferencing, the option to chat with other participants, and the ability to zoom in or out on screen-sharing content. 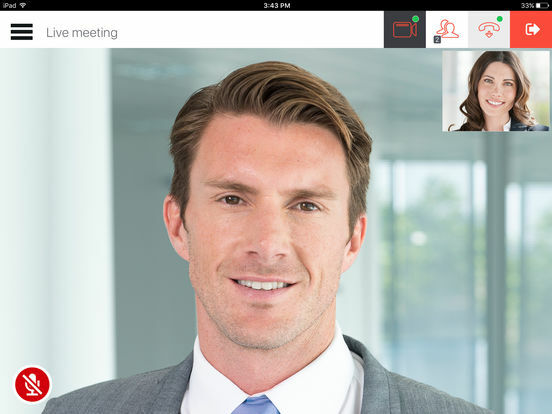 Once you join in on a meeting you can connect to the audio conference call using the Internet or GSM. 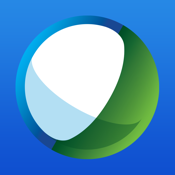 Cisco WebEx Meetings allows to you join in on conferences using your iPhone and Apple Watch. The app services WebEx Meetings, WebEx Meeting Center, WebEx Training Center, WebEx Meetings Server, and WebEx Event Center. 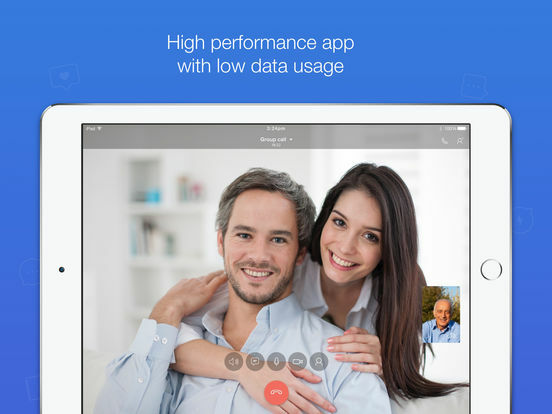 You get full-screen multipoint video, voice-activated video switching, Auto Call Me, and wideband audio support. 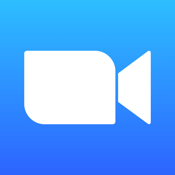 You can view content and video simultaneously, invite others, make someone else Host, and schedule, start, and cancel a meeting using the app. You can also expel a participant if necessary. There are so many features here it’s impossible to list them all. 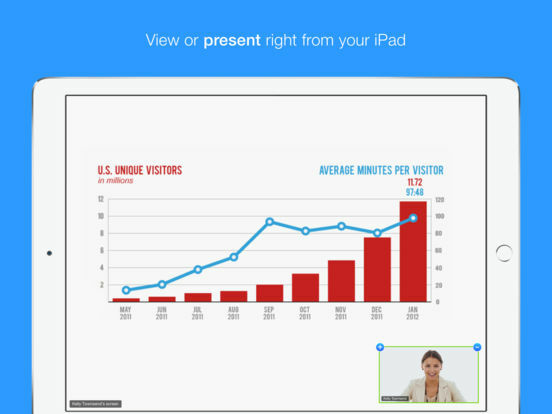 iMeet will revolutionize the way you think about web conferencing. 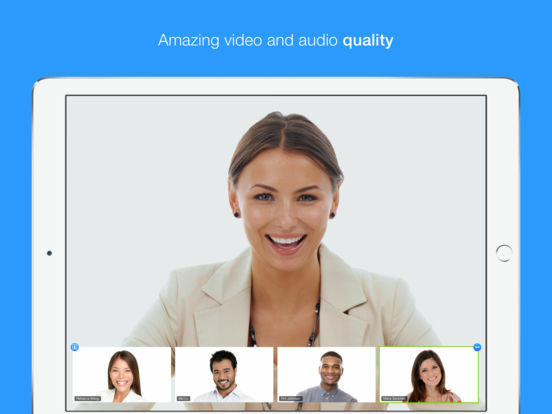 This is an award-winning app that offers the ability to host or join a meeting with up to 125 participants, personalized meeting URL, the option to record meetings, cloud-based file storage, automatic sync across devices, and the option to meet in video via webcam. You can click on Schedule a Meeting and the app will give you a pre-populated invitation with all the meeting details, ready to email to guests. You can run the presentation yourself or pass control to someone else. 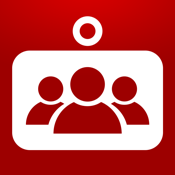 Share files and chat with other participants, and allow guests to share your desktop screen. You will need to be registered with iMeet unless you want to sign in as a First-Time Guest. 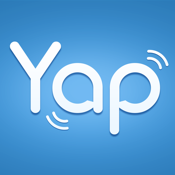 YapApp allows you to make video calls, text, share videos and photos, and have group chats using your iPhone. It’s easy to sign up using your email, phone number, or Facebook account, and it’s just as quick and easy to find your friends and see who is online. 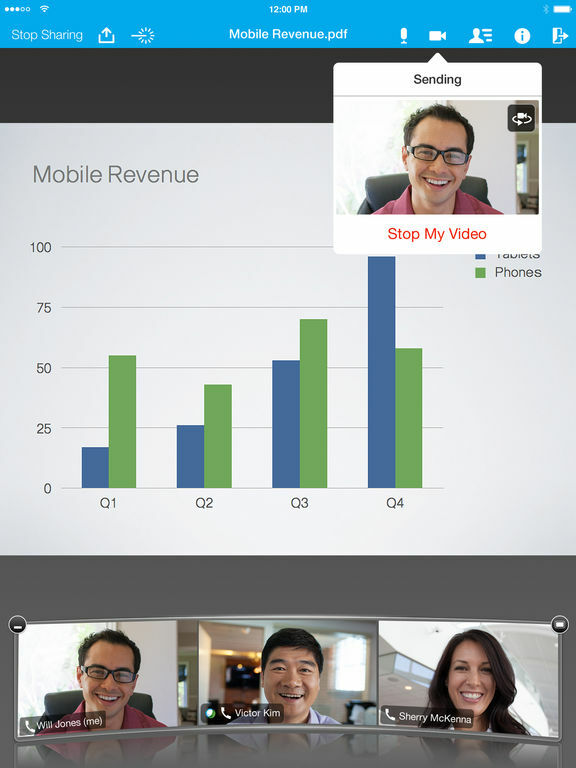 Use your WiFi or data to make free video and conference calls. 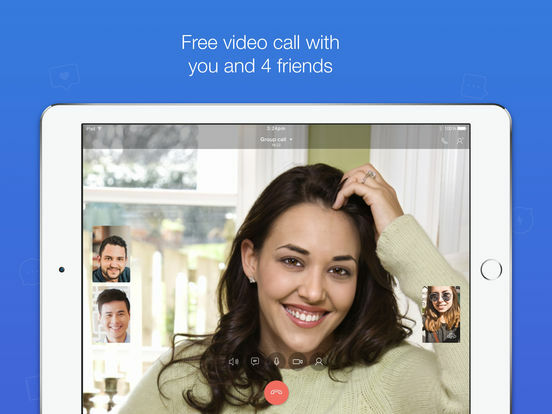 You can add up to four other people on a video call, and you can all share and receive videos, voice messages, and photos within the call. All videos, texts, and photos are private and encrypted. This app is great for friends and family to use since it’s not marketed at business members, and has more general user-friendly features. 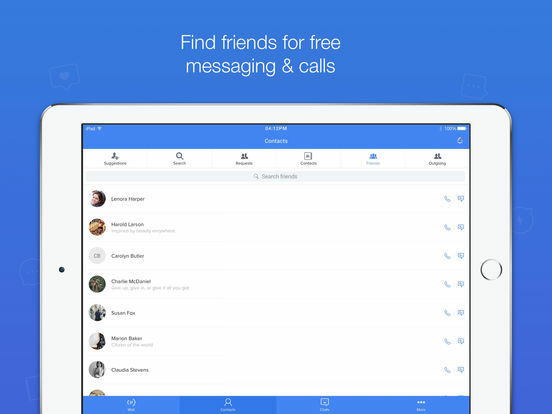 ZOOM allows you to stay connected. 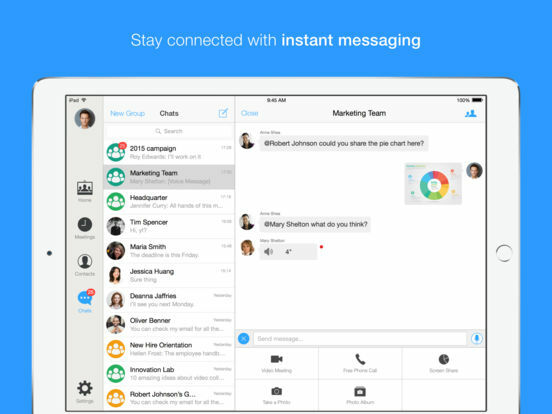 Use its video conferencing, online meetings, and group messaging features that have been rolled in to one easy-to-use app. 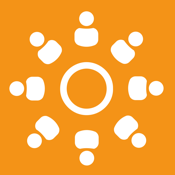 You can invite up to 50 people to join a meeting, see contact availability status, and more. 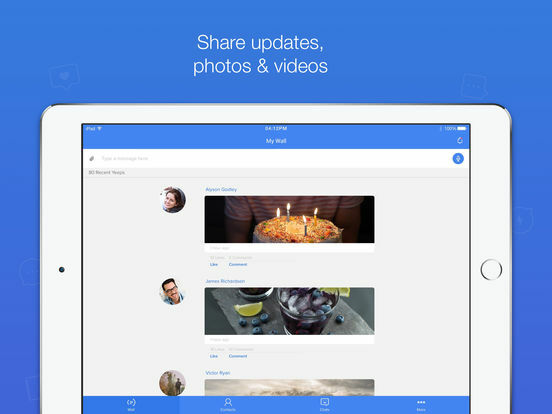 You will be able to share your iPhone’s screen, photos, and files. You can co-annotate during screen sharing, participate in real-time whiteboard collaboration (iPad only), and send group images, text, and audio files. You may join as an active participant or as a view-only webinar attendee, and there’s Safe Driving Mode when you’re on the road. 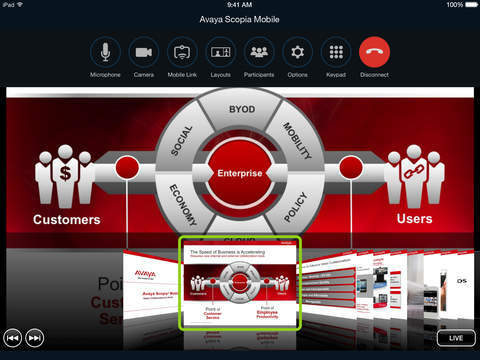 Scopia Mobile gives iPhone users the ability to connect using full video, audio, and data collaboration to standards-based video conferencing and telepresence systems all over the world. You get full two-way video and can see up to 28 participants at once. 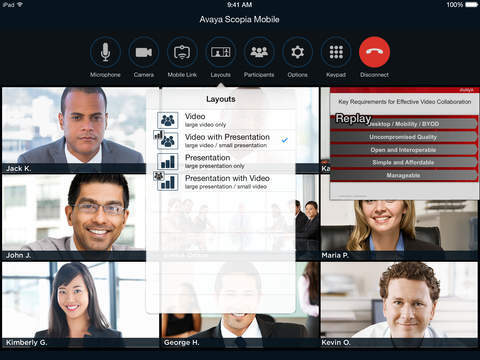 The app can connect into standards-based HD video conferencing systems, telepresence systems, and unified communications apps like Microsoft Lync. You get data collaboration with review capabilities and meeting control, administration, and moderation abilities. 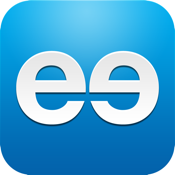 The app is usable over 3G/4G or WiFi, which allows you to use it almost anywhere.